An immature yet lovely 'Pocket Melon' in the garden of Amy Goldman-Fowler, author, seed-saver and friend. Curcurbita maxima - The hard, winter squashes like Blue Hubbard, turbans. Cucurbita moscata - Thin-skinned Winter Squashes like Butternut and acorn types. And then, there are also, these 'C' genus labels within the family. 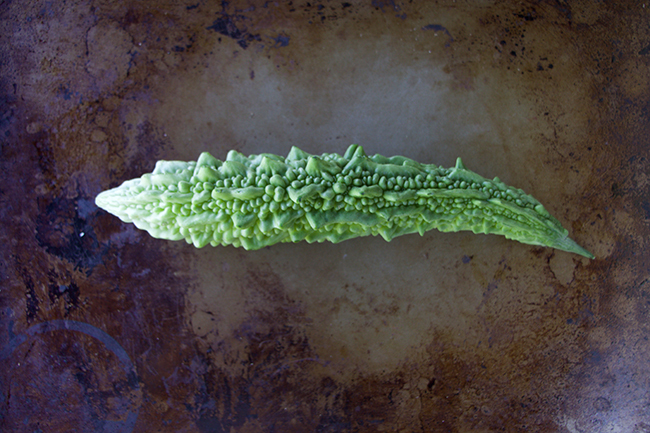 Cucumis sativus - Common cucumbers, including pickles. 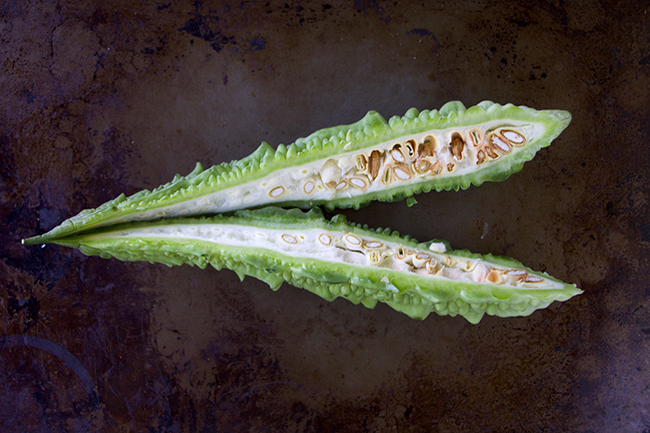 Luffa species - Yes, 'Luffa' is the genus, these'Towel Gourds' are also a food source in Asia. 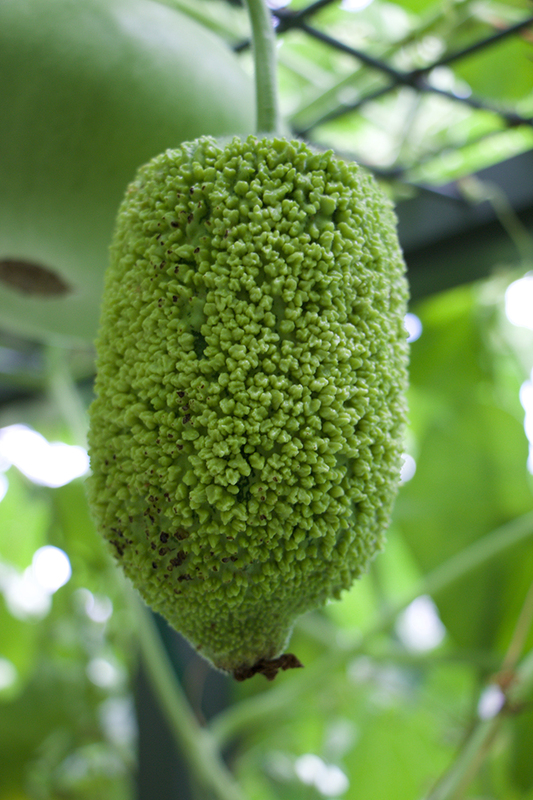 Sechium edule -the Chayote or Christophine (Apple Pear). Maybe it was obvious to some of you, but I was surprised to know that this was actually in the same family. When we think of the domesticated, edible market-fare within Curcurbita, things get a little more organized as specific species are placed into groups. Aside from providing captivating cocktail party talk (if one is attending a cocktail party with taxonomists exchanging phylogeny facts), one can simple assume that all gourds, melons, cucumbers, squashes and pumpkins are somehow related in one big happy family. It's not hard to see why. Teaching your kids that the pickle they are eating on their hamburger related to a slice of watermelon might be a great place to start them exploring why. I love to set open questions into the minds of children - especially those who claim to be fussy eaters. 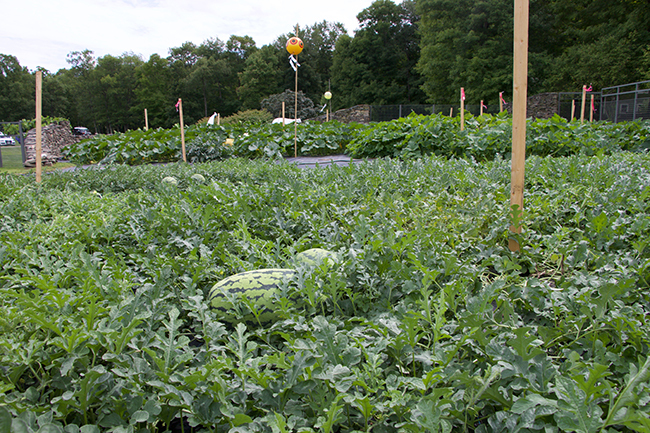 A once hard-to-find melon, 'Kajari' here still unripe, matures in Amy Goldman's melon patch. 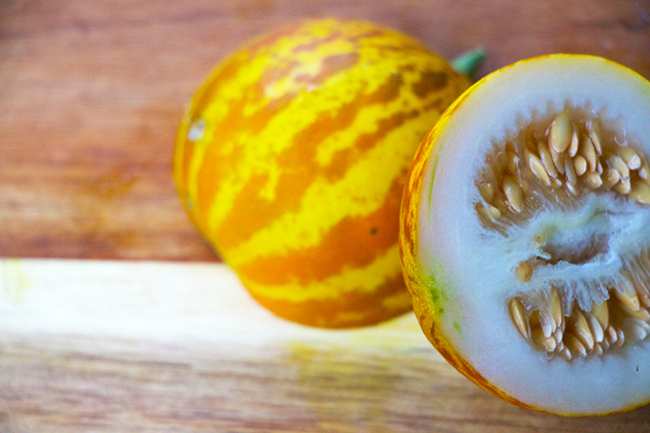 This old trip-colored melon once popular in central India, will mature to a beautiful orange colored fruit, with lime green lines. On recently reintroduced, it is supposed to have a flavor like that of the honeydew-type, but with the bright color of the Tigger melon, which is similar to the Lady Anne Pocket Melons seen on this post. Joe's nephew Curtis' kids often spend the weekend here, and we will usually get the "I don't eat cucumbers, (or tomatoes)." statement. That is, until they go out into the garden to pick them, themselves. Now, it's the first place they want to run to when they arrive. Gotta love that. Which brings up a few questions at the dinner table. The first one is often 'Are tomatoes or cucumbers a fruit or vegetable?" We all know the answer to that one, but the second one is sometimes confusing to us all - "How does someone grow a seedless watermelon if they are seedless?" The best answer I know of is explained in Joseph Tychonievich's book Plant Breeding for the Home Gardener (Timber Press, 2013), in which Joseph explains exactly how they do this, (hint: They are a hybrid). I don't want to give the answer away, because Joseph is staying with us as a house guest later this month, and he'll kill me! Are watermelons, such as this heirloom yellow variety fresh from the garden, all considered Cucurbits? You bet. I don't know if it's just me or not, but don't you think that watermelons with seeds taste sweeter? OK, here is a rather fun (ok, boring) fact. I was also surprised to learn that although it is acceptable to refer to the fruit of all Curcurbita as actually being called 'fruits', a botanist may cringe, for they classify the 'fruits' as a 'pepo' - a unique type of capsule or ovary with seeds attached to the skin, which in a way, is closer to being a berry than anything else. 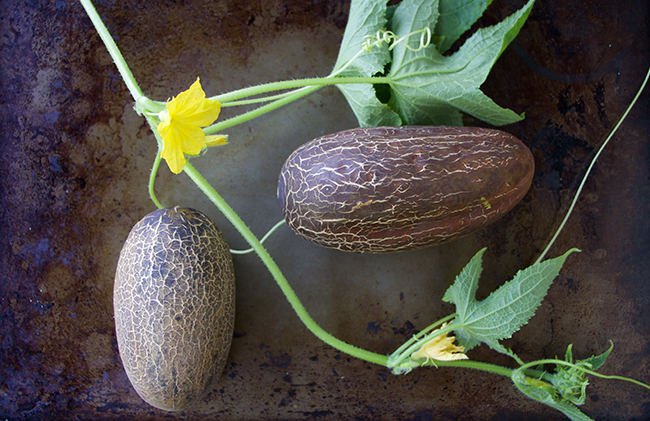 The Lady Anne Pocket Melon is more fragrant than it is edible. It's not poisonous, and has been grown as a food crop for centuries, but the story behind it outweigh's any flavor it might lack. This ones story comes from its sweet scent. Combine that, with pockets, ladies and a time before washing machines or drug stores. I'll let you figure out the rest. True or not? If there is one thing that we can all agree upon, about Cucurbits, is that they are abundant! This, along with the fact that the large seeds are easy to sow, make them ideal for children (my first crop every grown as a 4 year old were ornamental gourds.). Curcurbits are simply rewarding, and few would ever be able to use an entire crop themselves, without sharing them with neighbors and friends. They are the 'social media' of the garden as no one is greedy when it comes to Zucchini! 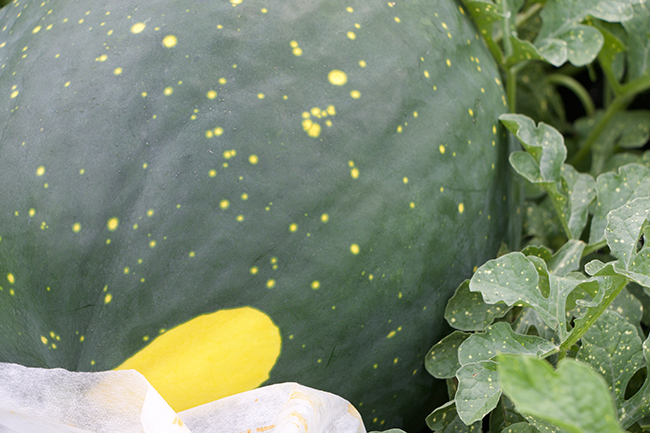 Any heirloom vegetable fan knows about the infamous 'Moon and Star's watermelon. 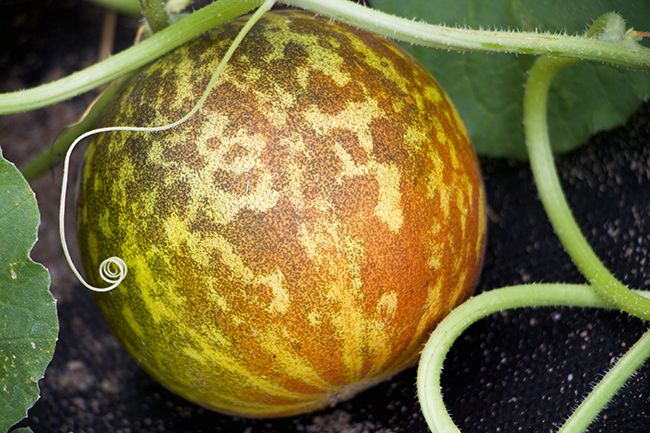 The story behind the rediscovery of this once thought-to-be-lost watermelon, is told in Amy Goldman's book on Melons, but today, it's sold by many heirloom seed companies, and is not that difficult to find in a seed catalog - but just try to find one sold in a store! One must grow this beauty, themselves. My memories of my parents hauling in bushels of pickling cakes (usually again, like string beans, on the hottest day of the year) but generally just as August was ending, reminds me that we should all plan on setting out a second crop in July, as these second or third crops seem to produce an abundance of fruit (um...pepos), which rarely rivaled those harvests from seeds set out in the cooler soil, in June. Day length, is again, key here. One should sow the last crop of cucumber and zucchini by eight to ten weeks before ones first frost day. For us here in central Massachusetts, that would be the first week of August. Anything later may not mature in time, and the shorter day length will slow down the growth. A few weeks ago, Joe and I were visiting garden of Amy Goldman-Fowler in Rhinebeck, New York just 70 miles or so north of New York City on the east side of the Hudson River. 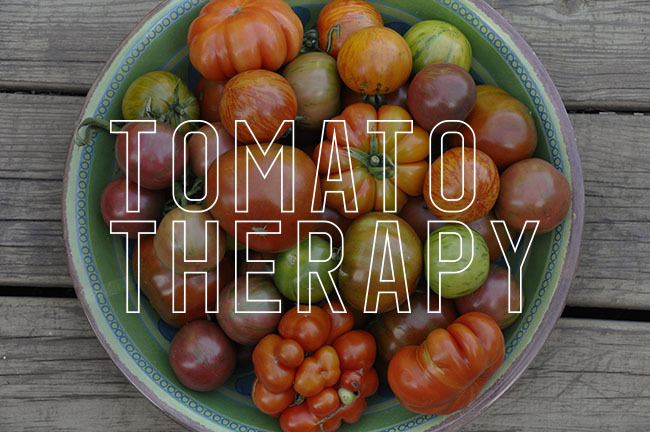 Amy is not only a gifted grower, she is a consummate researcher and has dedicated much of her resources and life to various efforts around seed saving, and the preservation of antique or heirloom varieties, species and cultivars. You may know about her books however, which are beautifully designed, photographed and written - not to mention well researched. They are jam packed with facts which are useful to any level gardener, as well as practical cultural information. I must admit, that at first, I resisted buying her books because they were so well designed and presented (silly, right?) because I often discovered later that such books were more fluff than factual, but Amy's books are unique, as she consciously curates each element from sourcing the seed, to raising the actual prop or fruit used in the image, to directing the photography style, or at least, in orchestrating a team, everyone from the design firm chosen to set and design the book, to the photographer who has the talent and patience, as well as the passion to dedicate five years of summers out in a field or in a barn, photographing something as mundane as a squash or melon. 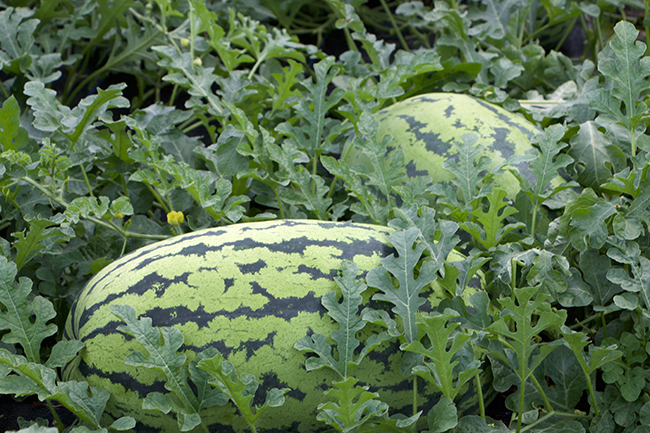 Commercial varieties of watermelons rarely have the flavor of a field ripened melon. 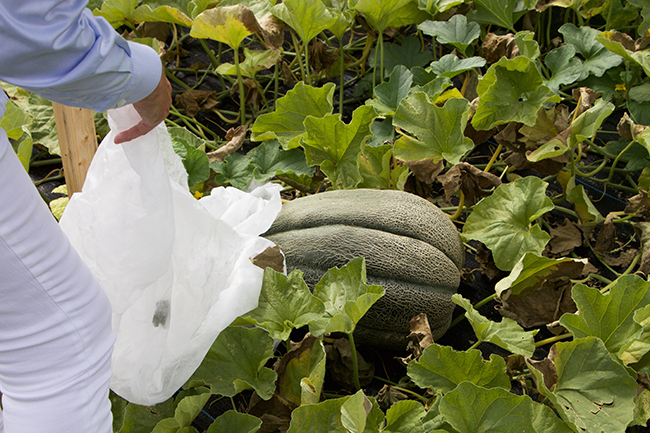 These giant beauties are reminiscent of vintage varieties once popular 75 -100 years ago. A time when seasonal watermelons were grown in the South, harvested ripe and sent to market immediately. 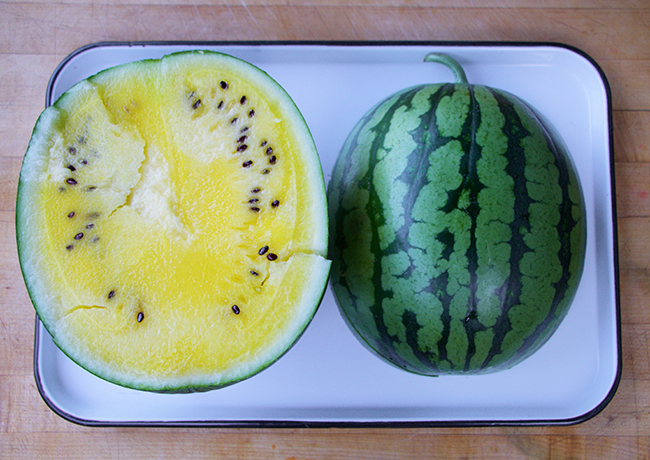 An unrefrigerated melon, warm from the sun. I don't need to say any more about what one misses when one doesn't raise their own food, and selects the varieties for taste, over shipping quality. 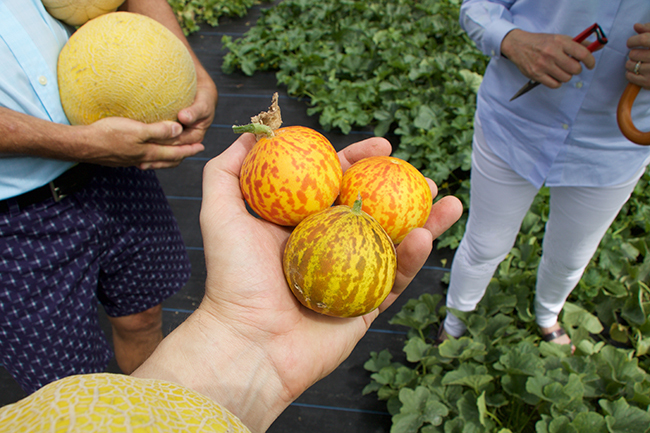 This large muskmelon is an old variety called 'Colossal'. 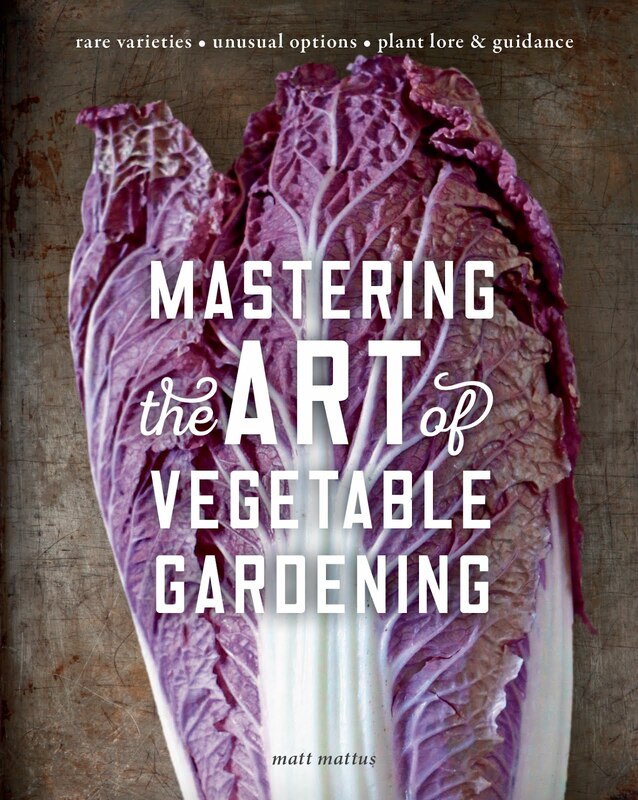 In most of Amy Goldman's books, she has collaborated with Victor Schrager - a very gifted photographer (perhaps well known to you by some of his early work in Martha Stewart Living magazine), but perhaps moreso with his impressive portraits of fruits and vegetables in Amy's many books. I was so grateful to be able to have had dinner with him a couple of weeks ago where he shared some fun stories, but where we also chatted endlessly about how photography has changed and evolved over the years, as well as his influences. Not quite a Victor Schrager image, since I simply used my hand-held SLR and an old, grimy cookie tin, but this image a shot last week of some heirloom Sikkim Cucumbers in my garden, shows how a simple composition of cucumbers on a deck table with natural light, can inspire one to take their own. I've written about this special collaboration between Amy Goldman and Victor Schrager in past posts, butI wanted to visit the subject again, after having this chance to visit her garden. As the many cucurbits in all of our gardens arrive, it's helpful to visit book like hers to both make lists of things to grow next year, or to add to ones knowledge bank while experiencing something like a yellow watermelon or an heirloom squash. I find such discoveries as what heirloom varieties are considered synonymous with the many common names out there in the many seed catalogs helpful, as well as the interesting stories behind the varieties. 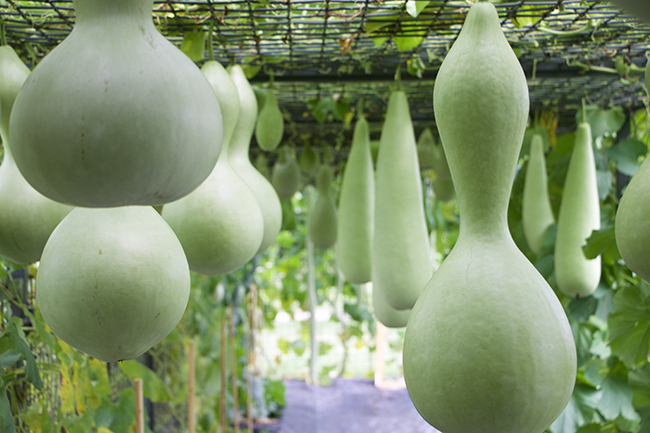 Bottle gourds dangle in a gourd tunnel at Amy's. I'm so inspired! Every botanical garden must add one of these gourd tunnels to their master plans. Just imagine how the kids (and the inner kid) will react to this! I reference frequently - The Complet Squash - A Passionate Grower's Guide to Pumpkins, Squash, and Gourds (2004) by Amy Goldman and Melons for the Passionate Grower (2002) by Amy Goldman (both published by Artisan). A lot of passion going on there in those titles, but it should come as not surprise to anyone who has been captivated by these luscious, and the often passionate stories behind some of these buxom -fruit. There seems to be no end for those of us who are curious, and whom have an insatiable appetite for historic vegetables and fruit. 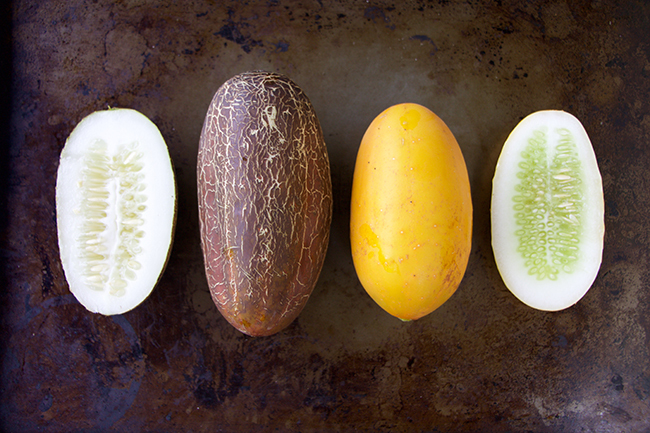 This bitter melon is practically artwork. After the visit to Amy's garden, my good friend and gardener Chou Ho, who is also a neighbor stopped by, with a few bitter melons, as well as a long Luffa squash, which his parents were growing in their garden. Also considered by botanists to be Cucurbits, these hail from India, but became important to Chinese cultures when they were introduced to China in the 14th century. 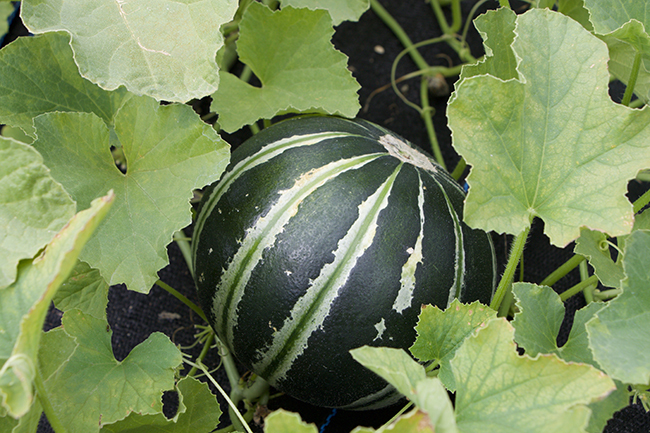 Today, many Asian and South East Asian family's, such as Chou's, grow or keep various bitter melons or snake melons, raising them on trellis' or even in their front yards. Cut open, it is even prettier. Another variety, with fewer bumps. 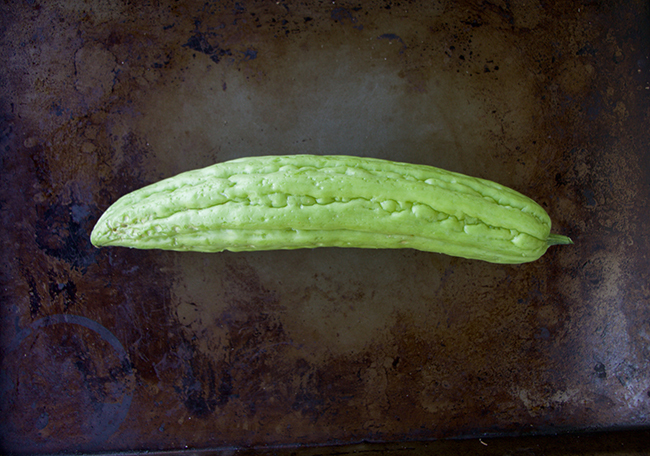 I love Sikkim-type cucumbers! The Kajari melons I tried both last year and this year, but both times they never really got going. This bitter melon is always my favorite. Thanks for sharing the amazing garden. 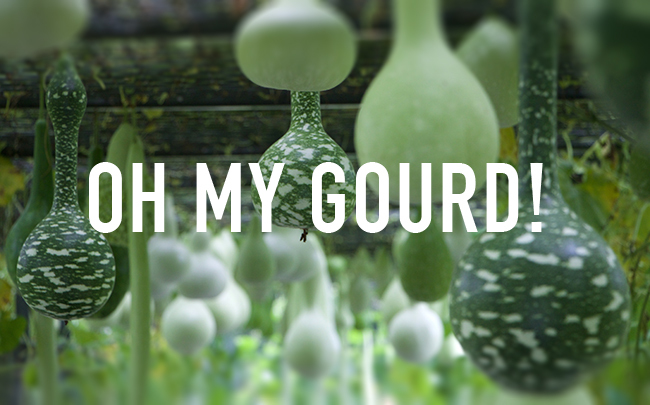 The big bottle gourds are amazing. I am also a garden lover. But I don't have much experience with these vegetables. I just start some flowers and perennials.